Sponsored by "StickyPiston" Server hosting! Scroll down for more info! This pack is all about taking your time, enjoying the experience and triumphing through innovation and creativity instead of advanced technology or "one-block-fix-all" solutions. It challenges players to use little-known mods as well as lesser known features of more popular mods in new ways to complete the Quest-Book and learn all they can about the world. 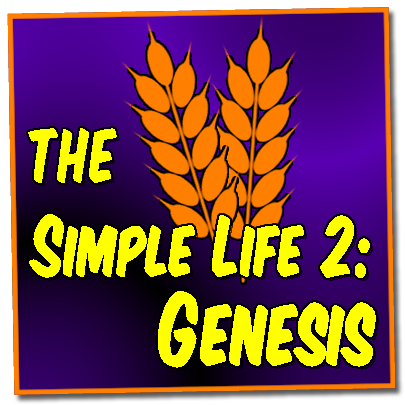 As my first publically released mod-pack, The Simple Life 2 has gone through many changes in the last 18 months. Despite all that, the core aspects of the pack have never changed! Most of my packs have Server Files available for download. You can easily find them by clicking the "Files" tab at the top of the Curseforge page and then clicking the "+1 Server Pack" button next to the version you want to play. Working with StickyPiston, I am happy to offer a discount on your next server. All you have to do is click the image above and place your order! As an added bonus, you can use this code for a discount! 99blocks - Get 20% off for the life of the server! The Simpletons are a team of like-minded content creators who stream and produce family-friendly content for you to enjoy. Our focus isn't on who's the biggest or has the most followers. For us, it's all about the passion and the energy for creating and playing some of our favourite games for your enjoyment. Show the love on Patreon for exclusive rewards! All Mod-Packs provided here by Robin Galton acting under the Pseudonym of "99Blocks" are subject to the "All Rights Reserved" License type as found in CurseForge's Terms of Service. The Simple Life 3: Emissary was supposed to come out in “late 2018,” but now, we’re in March 2019. How’s the development going? Hi. Any news on The Simple Life 3? Thanks! The server files are not very intuitive, and may not be working properly. There are too many empty folders, and also too many files as everything is one in place, which one do I run? The only one that properly launches is minecraft_server.1.10.2, but it seems to be a vanilla server. I figured out the solution to my problems! If you extract the files incorrectly, you run into issues. I had to first extract the server files, then go into that folder, and drop the only folder in that folder onto my Desktop to make it work. I also had to create a .bat to run the server and give it more memory, instead of using the command prompt every time I ran the program, I called it MinecraftServer.bat and it's best to Google how to do this (if someone else is reading this). This modpack is amazing! I love how the bits and pieces work together. I researched advanced storage, while my friend did industry. When I needed power for my machines, he plugged in a windmill and there it goes! Great pack to play with friends. I just installed my first server with 64k storage and I'm having a great time! As soon as I launch the game and the Mojang logo disappears the game crashes and this happens all the time I have never even seen the sinplayer or multiplayer option on this mudpack please help me! i have a problem with the modpack 2 days ago i've updated and now im finding all the ores like this one and i don't really like it is it to easy to get ores this way. I would like to know the name of the mod to remove it. It's a 1.12.2 pack so I guess not. I have a problem with the mob killing quest in 1: The Simple Life. when i clicked on it, my minecraft would be crash. i don't know how to fix it by myself. anny Release date for Simple life 3??? cant wait for it. Only qwestion for it will be is are you planning on usunf the newer versions of mods like the new tinkers that includes armor. if you're hainvg issues launching this through the Twitch Launcher, go into the Twitch Launcher Settings and change the Java version for Minecraft from Native to Latest. This forces you to use the old launcher but it will allow the modpack to load. Can i use with Minecraft Windows 10 edition? Hey, I am a fellow author and was trying to join your discord. I have many I join and I rarely just Lurk like most do. Lurkers are as welcome as anyone else! It freeze in loading world screen after the update!